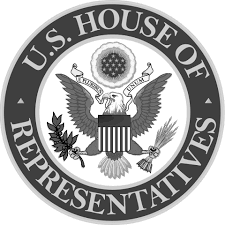 On May 21, 2014, the U.S. House of Representatives Science, Space and Technology Committee held a hearing on astrobiology and to discuss questions related to extraterrestrial life. The Committee heard testimony from Dr. Seth Shostak, the senior astronomer at the SETI Institute, and Dr. Dan Werthimer, the director of SETI research at the University of California Berkeley. The two men discussed the search for extraterrestrial intelligence. During the hearing, Rep. Chris Collins (R-NY) inquired about ancient astronauts. The transcript of the conversation is below, and my analysis of the hearing appears here, from which this paragraph has been adapted. COLLINS: Have you watched Ancient Aliens, and what’s your comment about that series? We’ll start with you Dr. Shostak. SHOSTAK: Yes, I think I’ve been on it, actually. SHOSTAK: More than once! Look, the public is fascinated with the idea that we may be being visited now or may have been visited in the past—the so-called UFO phenomenon. I personally don’t share the conviction that we are being visited. I don’t think that would be something that all the governments of the world had managed to hide and keep secret. I don’t believe that. But the idea that maybe we were visited during the time of the ancient Egyptians and so forth—keep in mind that the four and a half billion year history of the earth, the time of the ancient Egyptians was yesterday, right? So, again, why were they there then? What was it that brought them to Earth? I have no idea, and I don’t find very good evidence. I don’t think… I think the pyramids, for example, were probably built by Egyptians. I know that’s a radical idea for some people, but they were very clever and they could certainly do that, so I don’t think there’s any good evidence that convinces me that we were visited in historic times. COLLINS: How ’bout you, Mr. Werthimer? WERTHIMER: Um, UFOs have nothing to do with extraterrestrials. WERTHIMER: So, even though I’m optimistic about life, there’s no evidence that any of these sightings… I think that some of these sightings are real phenomena. We get a lot of calls when the space station goes over, although some people embellish and say it has windows and things. And some of it is people’s imagination. We know that because it ties very closely to popular culture. When Jules Verne wrote about flying saucers everybody starting seeing flying saucers. Before that people saw angels. When people watch movies, then we get a lot of reports that are tied to what’s in the movies. And some of it is actually deliberate hoaxes from people making money. COLLINS: Thank you. I think that was my only question, Mr. Chairman. I yield back.